Home > Headlines > News > 2018 smart fortwo cabrio: Absorb the summer. The 2018 smart fortwo cabrio is the only convertible powered by an electric motor and designed for driving in the city. These features alone are enough to qualify the smart fortwo cabrio to be the perfect car to enjoy summer. Having said that, this isn’t the only way the smart fortwo cabrio stands out. It also offers a very agile drive thanks to its compact dimensions, which also allow the owner of a smart fortwo cabrio to park virtually anywhere. With a starting price of just $32,050, the smart fortwo cabrio is one of the most affordable convertibles in the world. 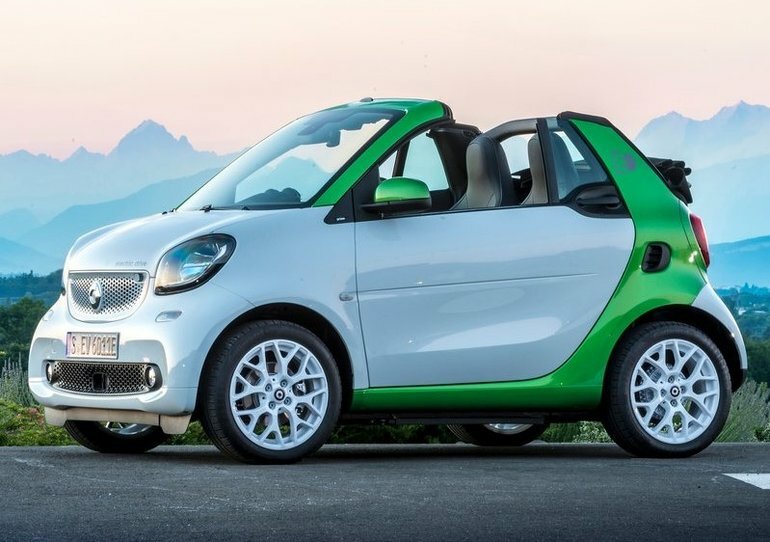 The 2018 smart fortwo cabrio is powered by a 100% electric motor that develops 80 horsepower and 118 pound-feet of torque. Because of its compact dimensions and feathery weight, the smart fortwo offers top-notch performance and, above all, impressive agility. Indeed, the smart fortwo, cabrio or not, offers an impressive level of stability that will immediately gain the driver’s complete confidence. The car seems to know where you want to go the moment you’ve made the decision in your head. In addition, you’ll quickly come to love the quiet purr of the electric motor. Speaking of rolling in silence, the design of the smart fortwo cabrio ensures that wind is diverted away from passengers' heads. You’ll therefore enjoy an open-air drive without the inconvenience that comes with it. In terms of safety, the smart fortwo cabrio uses the same tridion structure of the fixed-roof model. You’ll have the same structure that absorbs the forces of an impact and protects you in the event of an accident. To find out more about the new 2018 smart fortwo cabrio, contact us today.